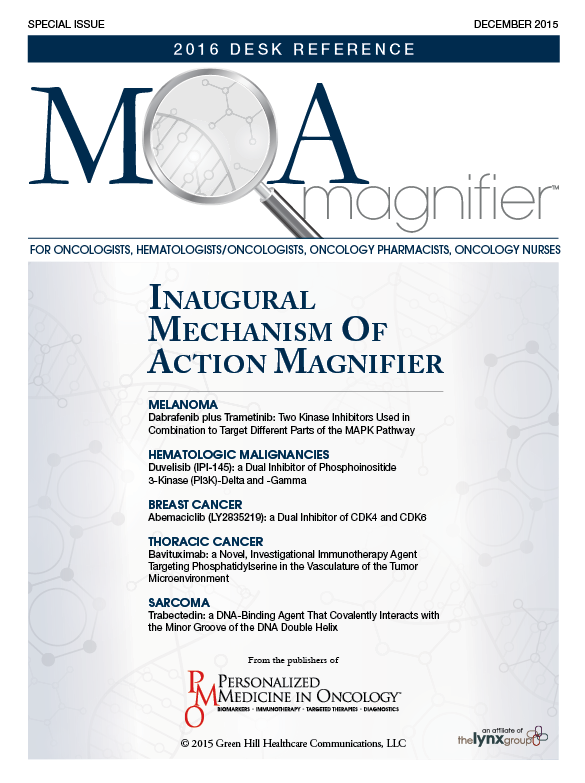 Welcome to the inaugural edition of our annual Mechanism of Action Magnifier™! 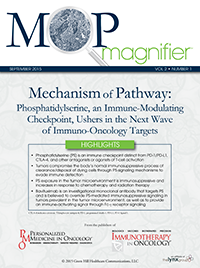 The Magnifier series is an exclusive supplement brought to you by the publishers of Personalized Medicine in Oncology (PMO) to delve into the biochemical interaction through which an oncology drug produces its pharmacological effect. As evidenced by the 2013 annual meetings of the American Association for Cancer Research (AACR), the American Society of Clinical Oncology (ASCO), and the European Hematology Association (EHA), the pace at which scientific knowledge is influencing cancer drug development is astounding. Breakthroughs in our collective understanding of the underlying biology of solid and liquid tumors have revolutionized cancer treatment compared with as few as 5 years ago.